In a speech delivered at the Finney Chapel at Oberlin College in 1964, Dr. Martin Luther King Jr. said, “the time is always right to do what’s right.” On Monday, Jan. 21 we all remembered Dr. King on Martin Luther King (MLK) Day. 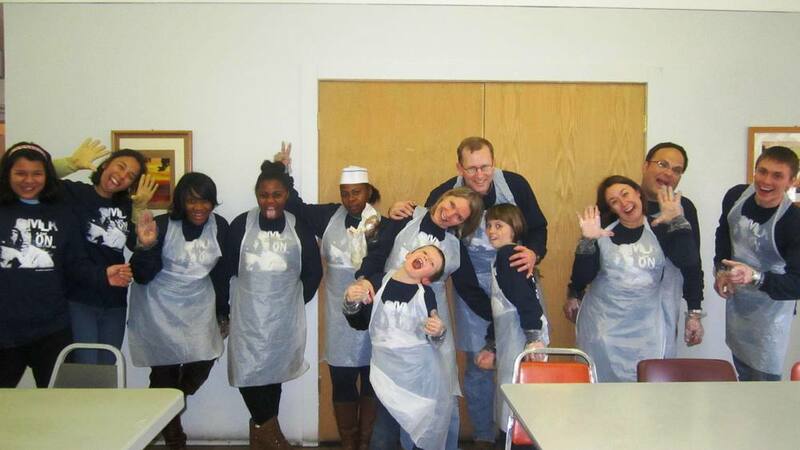 Volunteers from Northwestern Mutual—sponsored by the African-American Employee Resources Group—answered Dr. King’s call to do what’s right: three different groups used their holiday time off to give back to their community through the Gathering. One group prepared and served the Gathering’s breakfast meal, a second group participated in a deep cleaning of the Gathering’s downtown site, and the third group did a thorough cleaning of the Gathering’s South Side Site. Volunteers were seen filling cups with orange juice, buttering toast, serving chicken, greeting guests, scrubbing floors, walls, tables and more. Besides, who knows, maybe we’ll end up having some fun along the way!